The Council of Ministers approved a draft law last week regulating and controlling organ donations and transplants in response to a World Health Organization (WHO) report which revealed that the lives of patients with non-communicable diseases like hypertension and diabetes could be further endangered following kidney transplants, if done improperly. The draft law also attempts to curb the illegal and brutal organ trade, especially in kidneys. According to a statement released after a Council of Ministers meeting on Friday, the announcement was made as a result of finding a high incidence of non-communicable diseases such as high blood pressure and diabetes after kidney transplants, especially in countries that have average to high incomes. “In order to respond to the needed treatment of non-communicable diseases, the medical field has studied research to successfully save the lives of patients. The most common organ that is transplanted is kidneys,” said the statement. The four main complications which can occur following a kidney transplant are infections, high blood pressure, diabetes and rejection of the donated organ. Most complications occur in the first few months after a transplant, but can develop after many years. The Ministry of Health press statement added that the imbalance of kidney demand versus the number of kidneys donated has caused rampant trafficking of the organ both domestically and internationally. “Organ trafficking is globally condemned and curbed by creating laws to manage the donation and transplant of these organs,” it read. The six chapters and 34 articles of the draft law on regulating and controlling organ donations and transplants was written by the Ministry of Health with the aim of improving the quality, effectiveness and transparency among donors and recipients and to improve the wellbeing of citizens who have received donated organs. The draft law also attempts to prevent organ trafficking. 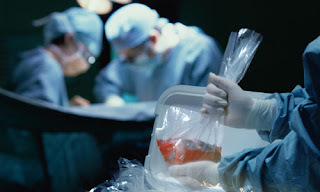 Health Minister Mam Bunheng said poverty was one of the main factors to the illegal trade, with impoverished people donating their internal organs, especially kidneys. “At some point, poverty forces people to sell their own organs for money. The broker makes quite a lot of money from such an organ trade while the organ seller struggles to live,” he said. Prime Minister Hun Sen told the cabinet in the meeting that authorities should pay greater attention and be extra cautious when scrutinizing child adoption cases. The prime minister added children could be sold to criminal gangs and their organs harvested and sold in the brutal trade. “We do not want our parentless children to be victimized by organ smugglers,” he said. The draft law was sent to the National Assembly for debate after the Council of Minister’s approval.